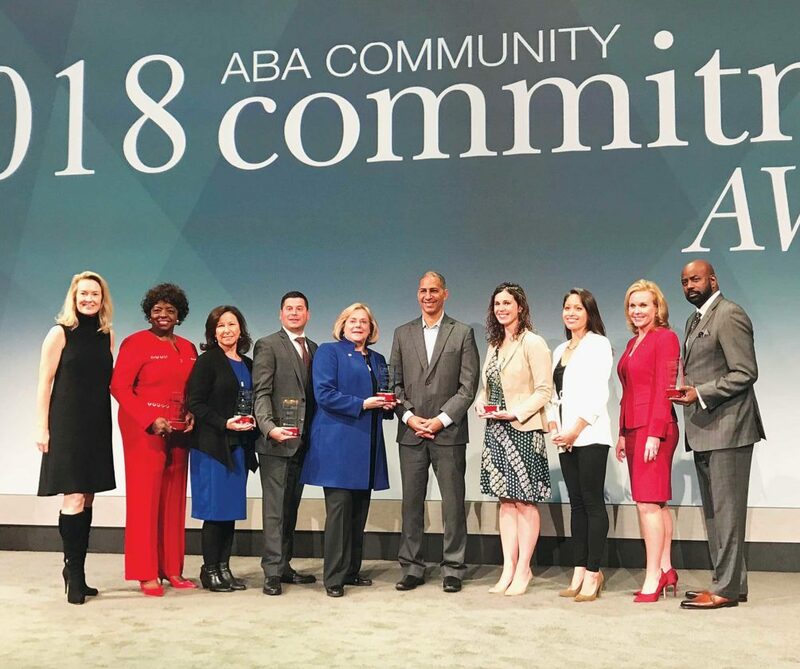 Photo Provided Representatives from the six banks honored with a 2018 American Bankers Association Foundation Community Commitment Award accept their awards at the ABA’s Annual Convention in New York City. Included in the photo are United’s Community Reinvestment Act Action Committee Officer Christina Cudney, fourth from right, and CRA Specialist Michelle Sloane, third from right. 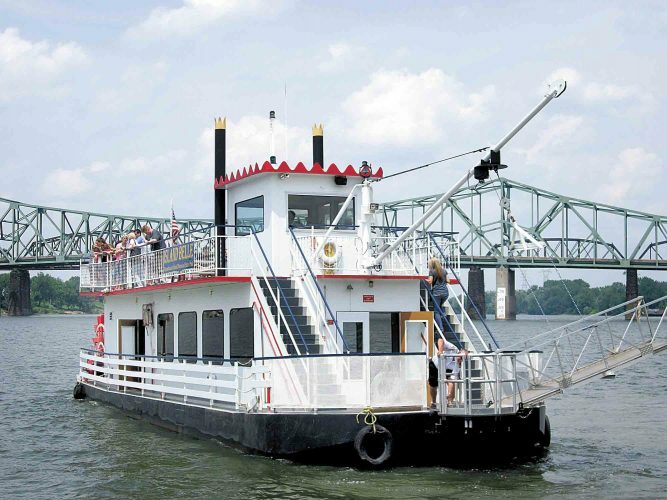 PARKERSBURG — United Bank’s employee volunteer program has been recognized among the strongest in the nation by the American Bankers Association Foundation. The foundation recognized United’s Community Reinvestment Act Action Committee during its Annual Convention in New York City. In 2017, United created a bank-wide infrastructure to connect employees to high-impact volunteer opportunities, aligning its community efforts behind common goals to move the needle on key challenges facing the communities it serves. The CRA Action Committee is composed of local representatives from each of United’s 20 markets. 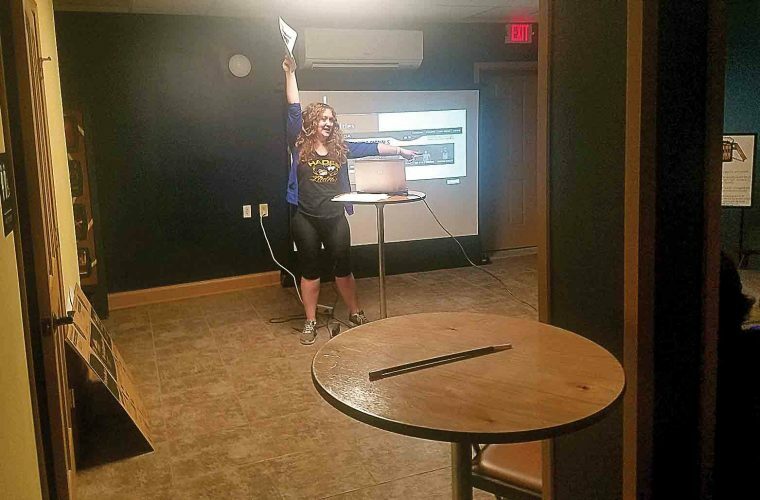 The primary criteria for joining the committee is passion for community service, and members represent a variety of departments and roles within the bank. In its first year, the committee increased employee service participation by over 40 percent and reached 31,444 volunteer hours. Committee members lead market-specific volunteer activities and cultivate United’s premier community partnerships. United Premier Partners are valued nonprofits who share United’s commitment to empowering historically underserved areas and people, developing affordable housing options, supporting small business growth and revitalize communities. United supports its partners by lending time and resources through activities such as hands-on volunteerism, fundraising, serving as board members and corporate giving. The Foundation Community Commitment Awards is a national program that recognizes and promotes the many valuable ways banks of all sizes and charters contribute to economic growth, community development and enhancing the quality of life in their communities. Entries were divided into six categories including affordable housing, community and economic development, financial education, economic inclusion, protecting older Americans and volunteerism. Award winners were chosen by a field of nationally-recognized experts. To learn more about the Foundation Community Commitment Awards, go to aba.com/awards. United Bank, which comprises 140 full-service banking offices and 21 George Mason Mortgage locations, is located throughout Virginia, West Virginia, Maryland, North Carolina, South Carolina, Ohio, Pennsylvania and Washington, D.C. It is a subsidiary of United Bankshares, a $19.2 billion regional financial services company.